How about a mid-week quickie? 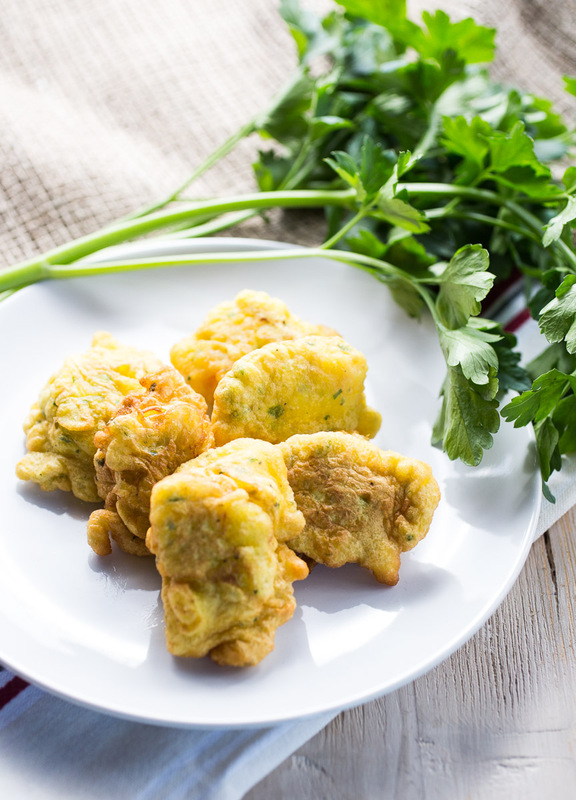 Those spanish shrimp fritters are versatile yet quick to make. They are a great starter, a side dish or work as a part of some tapas. Whatever you fancy. My favourite version is filled with shrimps, but bacalao (salt cod – Thanks, Annemarie!) is also a very popular addition to those fritters in spain. As so often with my recipes here, this is a dish I had since I was a little kid. My spanish grandmother and later my mother would make them regularly and now I carry on with this tradition. 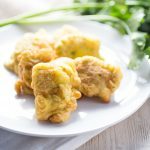 Light fluffy fritters filled with shrimps. In a large bowl mix flour and yeast. Add the parsley, garlic, egg, salt, pepper, food coloring and water. Mix well until it comes all together in a thick batter. Add the shrimp chunks to the better and stir to combine. With a tablespoon drop dollops of batter carefully into the hot oil. Fry from both sides until lightly brown. Take out and leave to drain on some paper towels. Serve hot or cold! These look super, super good-thank you for sharing! 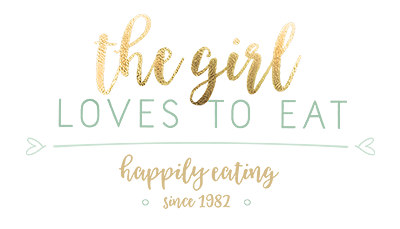 I also really liked your “about me” page, haha, I always feel like that too, there are so many food blogs & how could mine ever “stand out” at all? In any case, yours is awesome and looks great too. Will add to my RSS list! 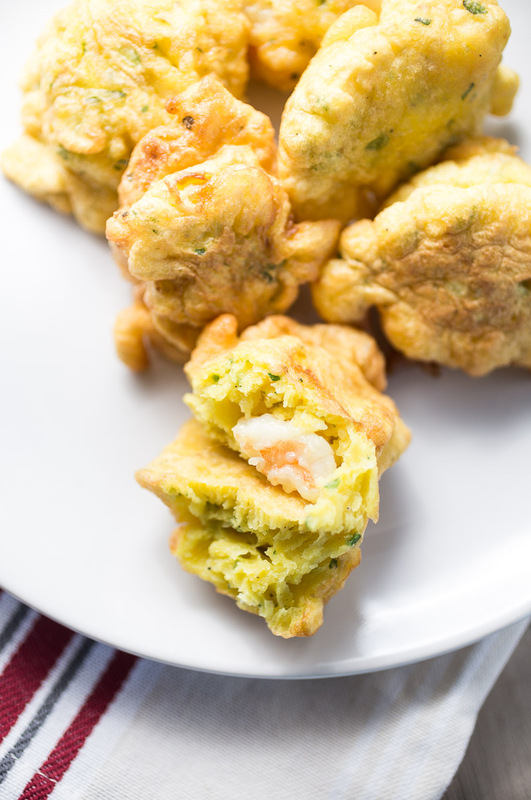 I would LOVE a massive plate of these fritters for dinner. Delish!